I started my martial arts training in September of 1985 when I joined a Tae Kwon Do class at my college in Oregon. I continued training in Tae Kwon Do with Dave Wolf in Salem, OR through brown belt level, spent a year in Dallas learning Texas-style karate from Steve Selby, and then in 1989 joined the Seattle Tang Soo Do association under Master Mike Shintaku. I achieved my 1st dan in November of 1993, and was promoted to 2nd dan three years later. Two weeks after I moved to Philadelphia in 2001, I joined Nackord Karate, where I was later promoted to 3rd degree by Mr. Nackord in 2004. I’ve made many good friends since joining the school and am always finding myself learning new things from Mr. Nackord as well as the other instructors and students. I've cherished the times Mr. Nackord has shared his concepts with me over the years. His teaching methods are deeply profound, analytical & direct to the point. All of his mastery is pleasantly masked as a genuine gentleman teacher that projects a far more valuable in essence than the typical alpha male fear factor projected by "masters & tuff guys". Arguably among the very best real martial arts masters alive in the world today in my humble opinion. Mr. Nackord is one of the best in the world. I train here and am constantly impressed by the knowledge and skills of the many black belts Mr. Nackord has promoted in his career. 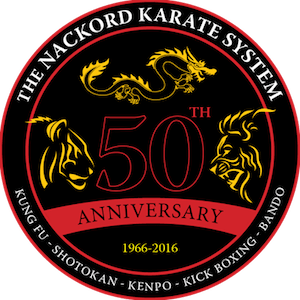 Mr. Nackord's more than 5 decades of experience and amazing connections to many great martial artist has given him the wisdom that is unmatched. I loved training with him when his school was located in King of Prussia. 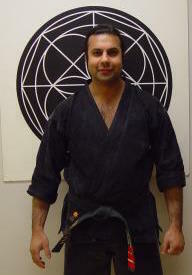 He has given me many opportunities to be inspired as he taught his classes with great passion for the martial arts. Dr. Dennis M. Mariano - Mariano Holistic Life Center, Inc.